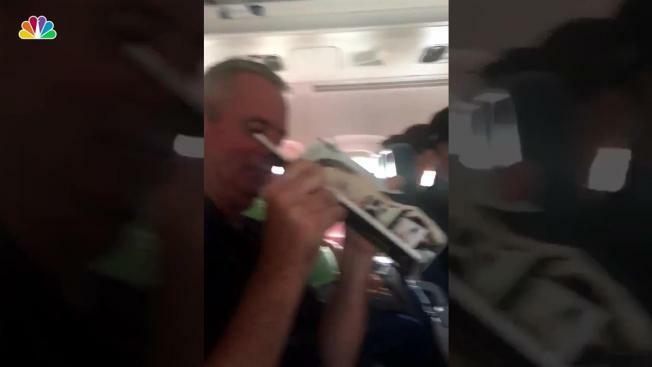 A plane passenger sat helplessly in his seat as water steadily trickled onto him from the ceiling during a flight to Florida Friday, despite his best efforts to shield himself using a magazine, video shows. The soaked but apparently good-natured passenger chuckled as he fruitlessly tried to divert the liquid away from his body using the magazine, video posted by his son shows. "Hey @Delta, be glad my father is such a good sport about sitting in water for a whole flight," tweeted Tommy McCullough. "Water falling from ceiling onto passengers." McCullough told NBC 4 New York his family was flying from Atlanta on the Delta flight when the ceiling started leaking. He said at least a half-dozen people were soaked by flight's end. Flight attendants didn't address the leak until the flight was in its final descent, McCullough said: "They eventually realized how stupid the situation was and just stuffed napkins into the ceiling." "It eventually stopped but I mean, we were basically in Fort Myers at that point," he said. After McCullough tweeted the video to Delta, the company responded, "That is not OK," asking for the flight confirmation number so that it could "get this taken care of and escalated." Delta eventually offered the customer a $100 travel voucher, McCullough said. Meanwhile, Rome-bound passengers on a Delta partner flight operated by Alitalia out of JFK had to be deplaned Friday after sitting for two hours on a "steaming hot plane" with no air conditioning, traveler Adam Fertmann tweeted. Video posted to social media showed passengers desperately fanning themselves with brochures, safety manuals and anything else they could find. Fertmann tweeted the video @Delta, asking what was going on. 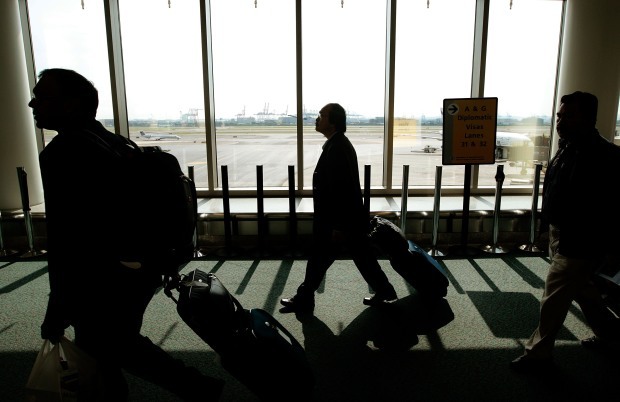 Delta responded, "We have little control over the procedures of our partner airlines." Fertmann said he booked the flight through Delta and said the airline should share responsibility. "We absolutely share responsibility," Delta replied. "However, since the flight is operated by Alitalia, we cannot address this concern." 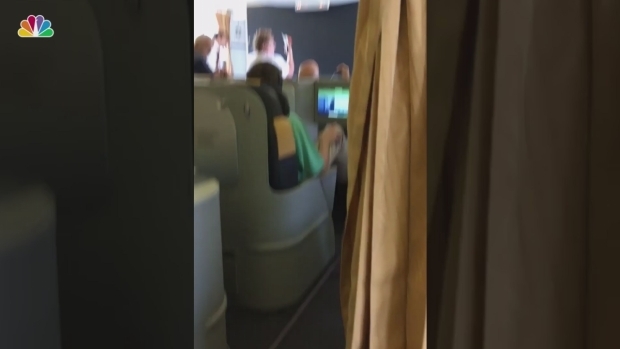 Another traveler, Meghan Alexander, tweeted a similar video of the sweltering cabin @Alitalia, saying, "How can @alitalia board a flight with no AC? It is 100 degrees on this flight and everyone is going to pass out! Not right." Alitalia replied to Alexander's tweet apologizing and asking if she received assistance from the crew.